Oh, not so fast! Stop right here before you evict this hidden gem from your Alaskan itinerary. Nestled on a picturesque inlet on the Kenai Peninsula in the south of Alaska, Seward is one of the oldest, most beautiful, and visited cities in the state. What? How can one of the smallest cities fall in the category of the most popular locations surpassing bigger and more prominent destinations? The answer is hidden in four words – Kenai Fjords National Park. That is right! The modest Seward is a gateway to the state’s smallest, but extremely rich on glaciers Kenai Fjord National Park. Moreover, Seward, named after the former United States Secretary of State William H. Seward, is a starting point on historical Alaska railroad with its main line stretching from Seward to Fairbanks. It is also a beautiful place for hiking, biking, and fishing. Water, glaciers, mountains, and railroad… Isn’t it time to dive deeper and explore more of this gem at the head of Resurrection Bay? A visit to Seward cannot be complete without making an exciting excursion to Kenai Fjord National Park. It is where your real adventure starts! 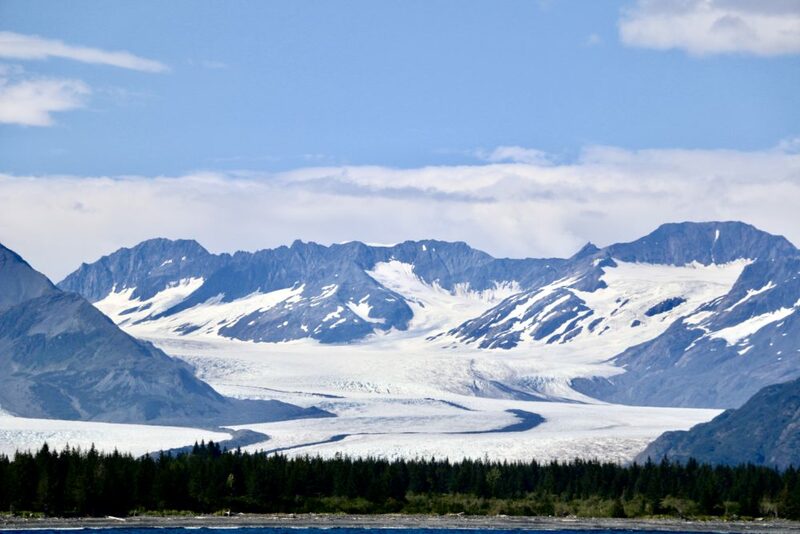 With over half of its territory covered by ice (which age you can only guess), the park houses virtually 40 glaciers, enormous rivers of ice formed by accumulating and compaction of snow on the mountains. While the ice and snow create a spectacular picture on their own, seeing them on top of the gigantic mountains with sprawling green pine trees is beyond any imagination. It seems like summer and winter finally met and, joining their forces, developed a priceless masterpiece – a place of interest of endless amount of adventurers and thriving home for distinctive wildlife of Alaska. Most of the park (apart from Exit Glacier) can be access only by boat or plane. Even though Kenai Fjords remain open year round, daily tour boats are offered during a short period of time, from May to September. A round-trip half-day or full-day escapade is a dream come true. In a matter of a few hours, from the deck of your boat, you are able to explore some of the most popular and hidden places of Resurrection Bay, see the most prominent glaciers, learn about the history and importance of the bay, and, if you are lucky, watch orcas playfully jumping out of the water. 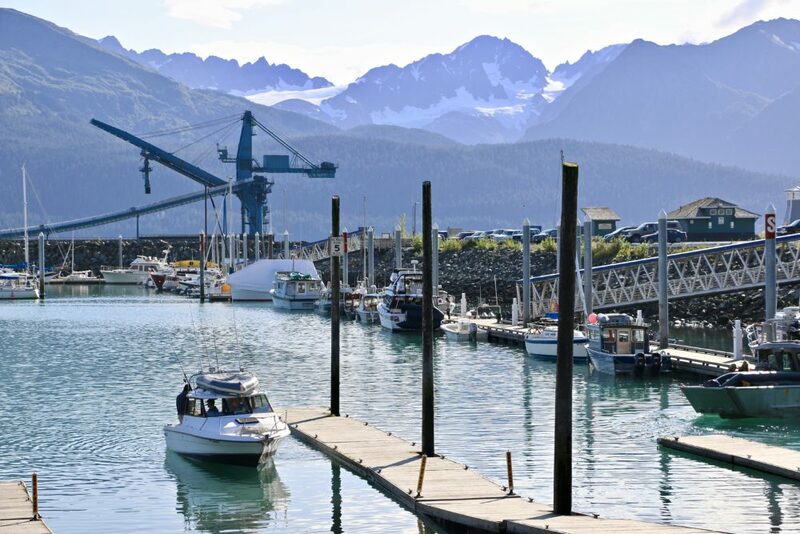 If you are asked to describe Seward Boat Harbor with one word, “bustling” would be the right definition for it. 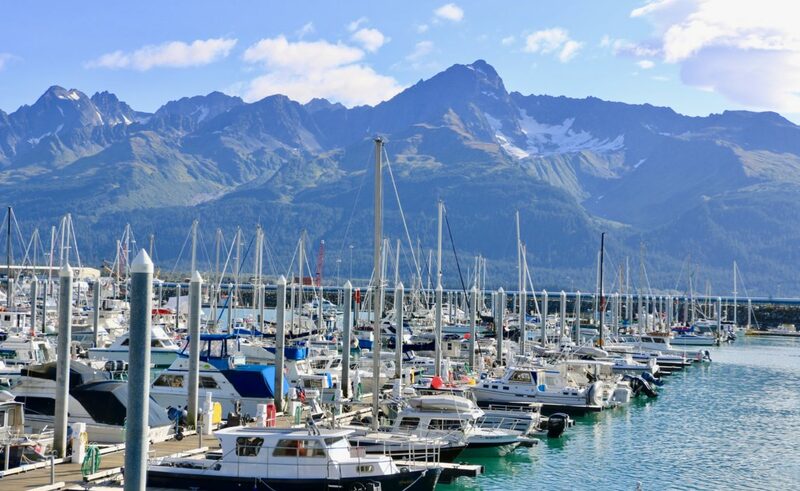 Conveniently located on the northern edge of Resurrection Bay, just a short drive off the Seward Highway, the busy harbor accommodates over 100 charter fishing boats and a small number of tour boats. This fact (and, of course, the mail attraction of the city – Kenai Fjord National Park) can explain why more than 300,000 voyagers travel great distances to take part in the hectic life of the harbor and admire its splendid surroundings. If your primary reason of visiting the place lies in the churning waters of the bay, then, by all means, get a ticket at one of the boat tour offices based right here on the shore, and cruise your way across the dazzling bay. However, right before or after your exploit, stop by at harbor’s authentic gift shops, grab a bite at nearby restaurants, ride a bike on designated paved pathways, or simply take a walk and merge into this coastal life. Swirl to the opposite site of the Seward Highway, to what it looks like a residential area with isolated houses. A short drive of less than five minutes (use map or GPS, since it is quite easy to get lost on winding county roads) will take you to the base of Mount Marathon, a home of Two Lakes Park. As the name suggests, the main attraction of the park are two lakes settled behind a few unfenced houses. 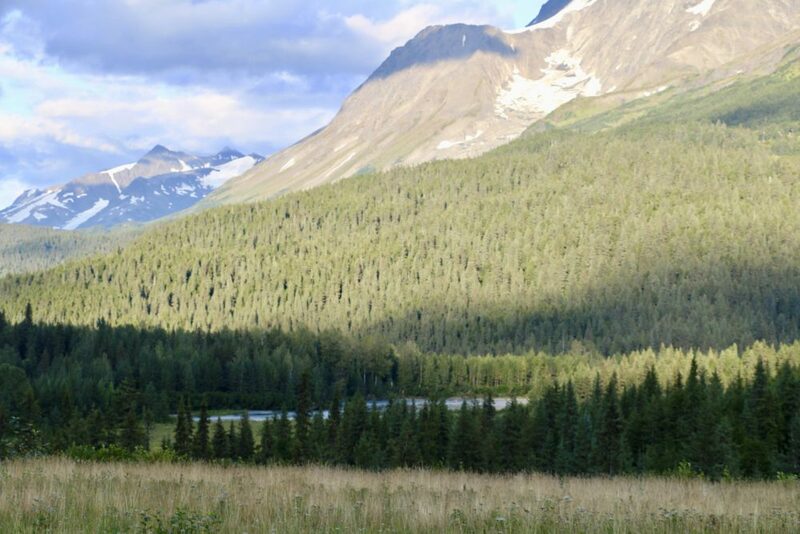 As you hit a trail (a short, less than a mile loop) and venture out into the woods, the Alaskan wilderness warmly embraces you, leaving behind the sights of the city. 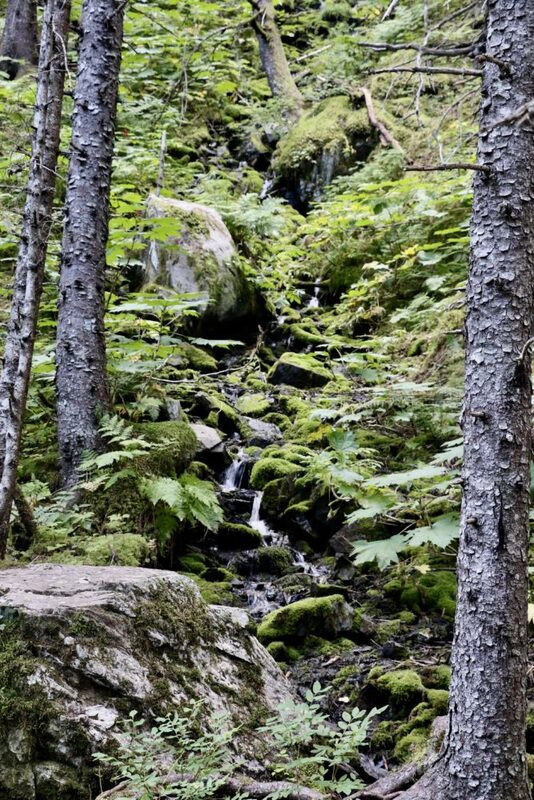 Scenic waterfalls, spruce, and dense vegetation replace the familiar images of Seward and accompany you all the way through the hike. So pristine! Some people regard Two Lakes Park as a hidden gem of Seward. Pounding water is so loud that it can be heard from the distance… Thundering sound that makes it almost impossible to hear anything else stuns you… No guesses are needed. Certainly, it is a sound a waterfall! Set near a country road on the south side of the city, Lowell Creek Falls is a sight that absolutely cannot be missed. Whether you accidently drive by or deliberately look for the waterfall, it cannot not impress with its enormous force. 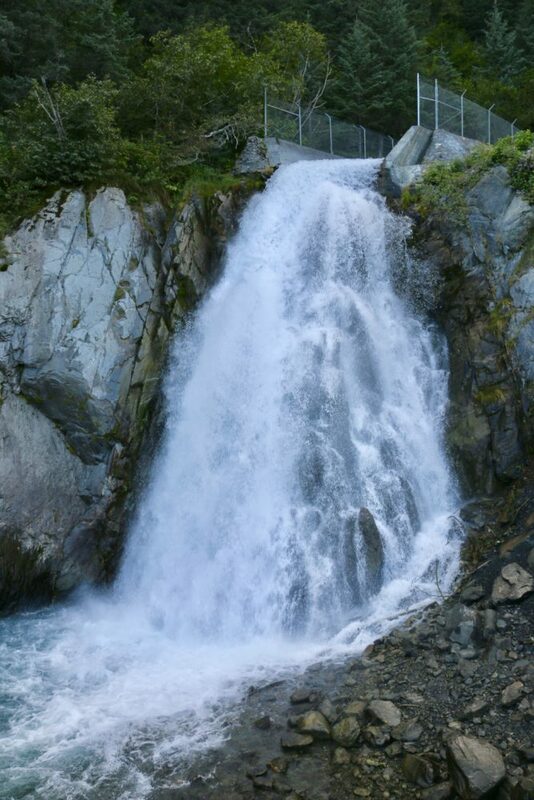 The powerful stream of water runs off a mountain above and uninterruptedly flows out into Resurrection Bay. Spectacular view, for sure! However, the fall arises some issues among Seward visitors. Since massive cement barrier restrain the waterfall from both sides, a few arguments spring about the authenticity of the fall. Some people view it as a man-made structure with the water flowing down a drainage, while others stand up for its natural origin, explaining the bars as necessary measures to keep the road from erosion. Just a few miles north of Seward, a breathtaking place, called Bear Creek, claims its ownership. The main jewel of this location is Bear Lake, better known as the area’s best spot for fishing and watching jumping out of the water pink salmon. Narrow, winding trails running through the woods to the peaceful lake make the creek also irresistible for the hikers of all level. But while enjoying your hike of fishing session, keep an eye on bears, lawful residents of the place. Apparently, even the name of the area was given to it by virtue of these furry, short-tailed mammals. That is a wrap of our one-day Seward itinerary! As small as this place is, it cannot leave you indifferent and untouched by its scenic parks, mountains and lakes, waterfalls and incredible wildlife. Be it a family trip or solo escape-excursion, aim for Seward, a perfect place for your next Alaska travel adventures.